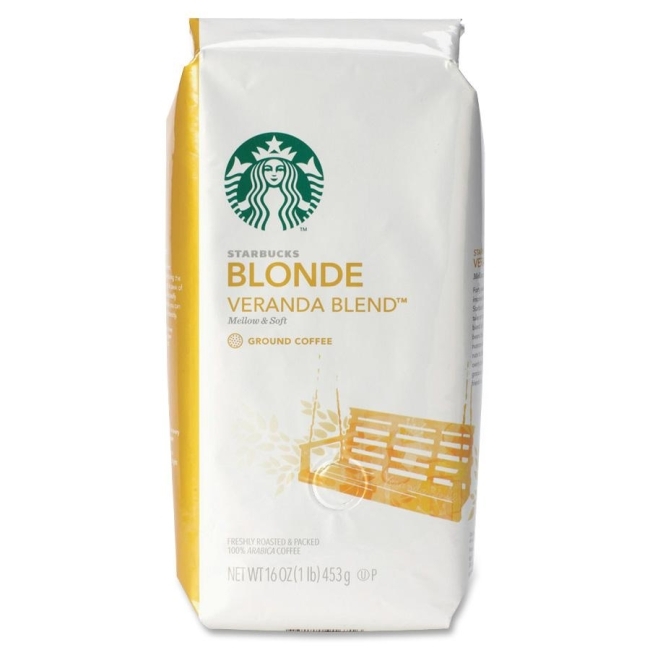 Starbucks coffee contains preground, drip-brewing coffee to give you the Starbucks experience from your own standard coffeemaker. The Veranda Blend is a blonde-roasted coffee with a shorter roast time, lighter body and mellow flavors. Approachable coffee offers nuances of soft cocoa and lightly toasted nuts, light body and medium acidity. Large bag is perfect for drip brewing.